I sometimes crave caffeine on my Queen Anne neighborhood walks – but books? I discovered this “Little Free Library” in someone’s yard today, a give-and-take vellum venue – perhaps for those who’ve lost their Kindles? When I finished my walk I just had to search the internet for “Little Free Library.” Amazingly, it’s a world-wide movement offering free book exchanges to help promote literacy. These wooden boxes filled with take-a-book/leave-a-book generosity are sprouting up on lawns, sidewalks, and bus stops from Africa to Brazil to Seattle’s Queen Anne hill – my neighborhood. Recommended: Little Free Library web site. 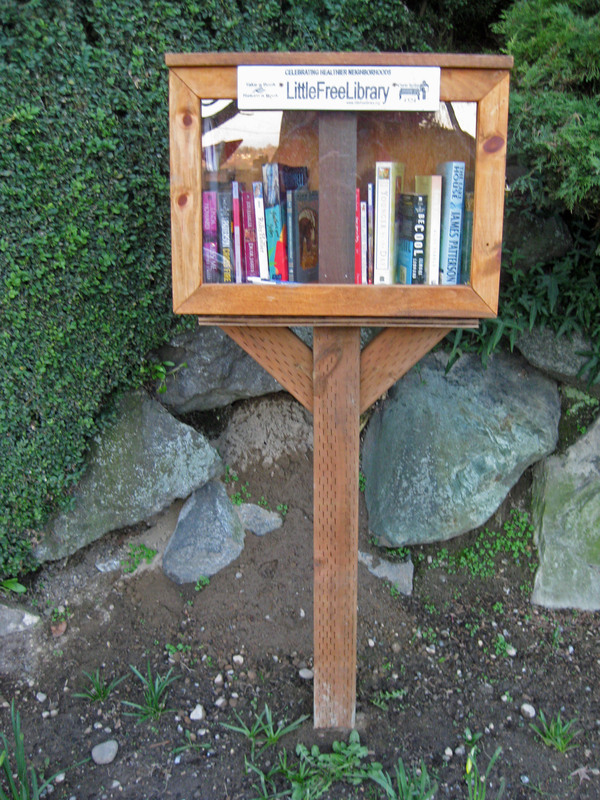 Tags: books, Helen Holter, Little Free Library, neighborhoods, Queen Anne, quirky, Seattle. Bookmark the permalink.